Deliver Tailored Service — without the Risk. Eighty-six percent of service leaders believe that core-performing reps are successful at using their judgment, but only 35% of reps feel empowered to do so. 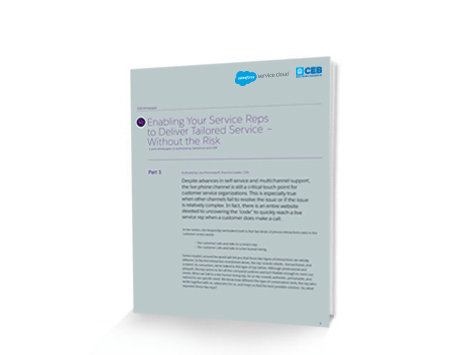 Find out how cultivating a rep network and eliminating barriers to judgment can reduce risk, increase employee engagement, and improve customer outcomes.